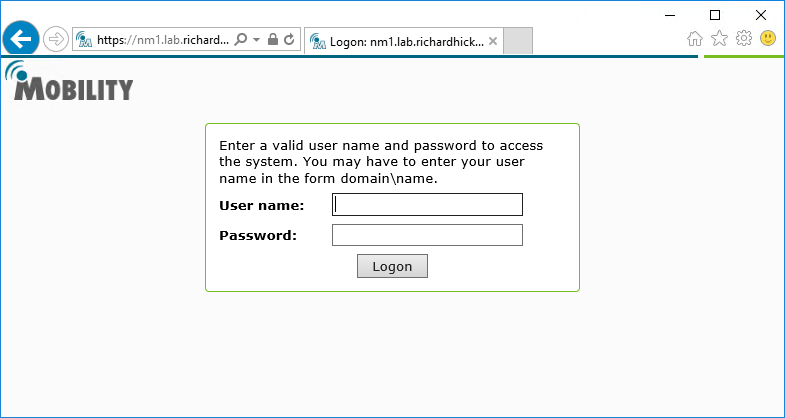 Enabling Secure Remote Administration for the NetMotion Mobility Console | Richard M. Hicks Consulting, Inc.
During the initial setup of a NetMotion Mobility gateway server, the administrator must choose to allow either Secure (HTTPS) or Non-secure (HTTP) connections when using the web-based Mobility Console. 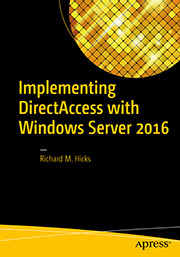 Security best practices dictate HTTPS should be enabled to protect credentials used to log on to the gateway remotely. Immediately after selecting the Secure (https:) option, the administrator is prompted to enter server certificate information. Enter this information and click OK to continue and complete the rest of the configuration as necessary. 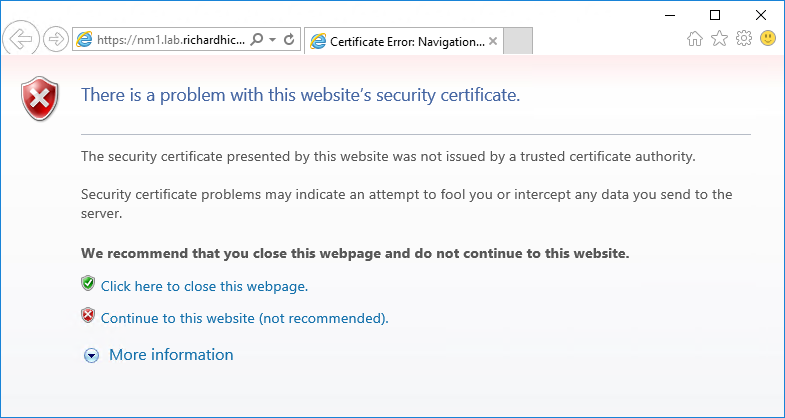 When logging in to the Mobility console, the administrator is presented with a certificate error indicating there is a problem with the website’s security certificate. This is because the certificate is self-signed by the NetMotion Mobility gateway server and is not trusted. 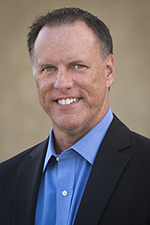 The recommended way to resolve this is to request a certificate from a trusted certification authority (CA). To do this, open the Mobility Management Tool on the Mobility gateway server and click on the Web Server tab. Click on the Server Certificate button and then click New in the Certificate Request section. Before requesting a certificate from a CA, the root and any intermediate CA certificates must first be imported. Click the Import button next to each, as required. Click Copy in the Certificate Request section to copy the Certificate Signing Request (CSR) to the clipboard and then save it to a text file. Now submit the CSR to be signed by the CA using the certreq.exe command. Open an elevated command or PowerShell window and enter the following commands. Select a CA from the list and click OK, then save the certificate response when prompted. 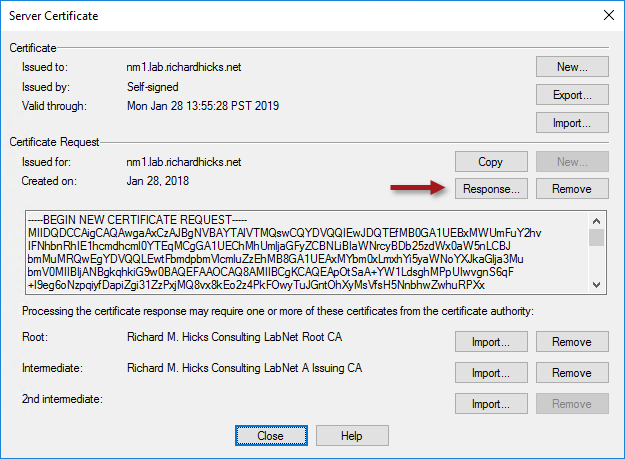 Click Response and specify the location of the certificate response file saved in the previous step. Once complete, the newly issued certificate will be in place. Click Close to complete the process. Click Yes when prompted to restart the Mobility console. Opening the Mobility Console no longer produces a certificate error message with a certificate installed from a trusted CA. In addition, if you followed the guidance above and included the single-label hostname in the SAN field, accessing the server using the short name will also work without issue. 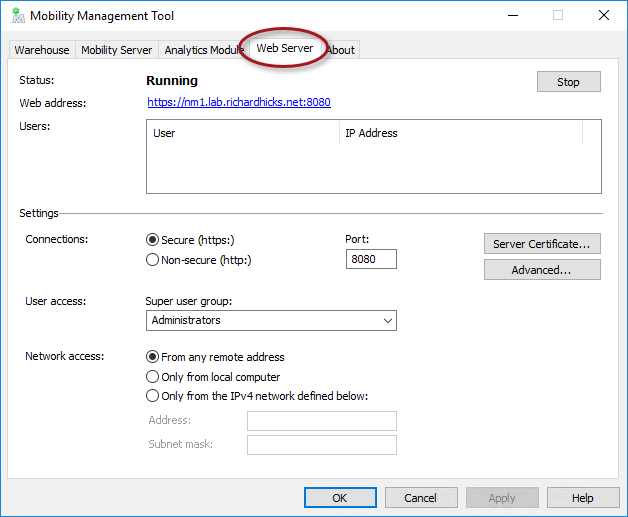 Always select the option to use HTTPS to ensure the highest level of security and protection of credentials when remotely administering a NetMotion Mobility gateway server. For optimal security and to provide the best user experience, use a certificate issued and managed by a trusted CA to prevent certificate errors when opening the Mobility console. 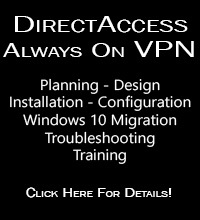 Deploying NetMotion Mobility in Azure | Richard M. Hicks Consulting, Inc.
NetMotion Mobility for DirectAccess Administrators – Trusted Network Detection | Richard M. Hicks Consulting, Inc.
NetMotion Mobility for DirectAccess Administrators – Split vs. Force Tunneling | Richard M. Hicks Consulting, Inc.